These garments will truly hug your body! The form fitting nylon/Spandex® material will wick away perspiration in warm temps to help cool your body. Then in cooler weather will help hold in your body's warmth to help keep you comfortable. The seamless construction will not rub & irritate your skin, and the antibacterial treatment will help hold down your man odor! 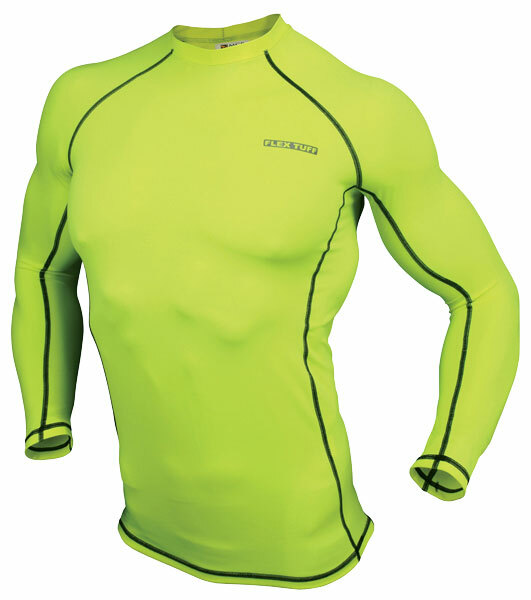 The LFTU708 is a long sleeve lime garment with black flat sewn seams.